At age 57 my knees began to hurt and affect my lifestyle negatively. I tired easily when shopping or walking and wanted to sit down frequently. When Dr. Stanley Dysart of Pinnacle Orthopaedics became my doctor, he suggested synvisc shots in both knees. The shots gave me relief for several years. However, Dr. Dysart advised I had little cartilage left in both knees and suggested total knee replacement. I scheduled total knee replacements with him. The replacements were successful! With a complete recovery, a rose from Dr. Dysart to cheer me, a kind and professional hospital staff and physical therapists, I was able to go on a cruise to Alaska and a trip to China a year later. How grateful I am for new knees that take me where I want to go. The following year, Dr. Dysart replaced my hip. With my faith, an excellent upbeat surgeon, well-trained hospital staff and therapists, I am back to a healthy lifestyle of exercise and travel. 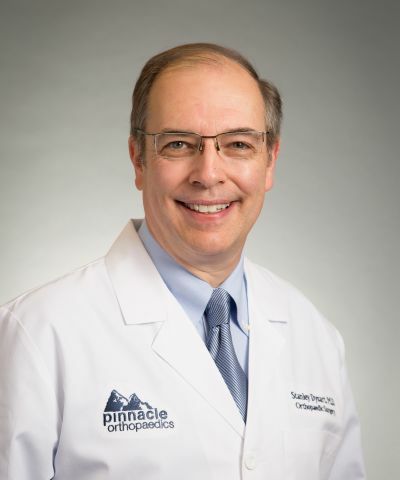 I enjoy my life and am thankful for Dr. Dysart's excellence in research and patient care in the Pinnacle Orthopaedics Group. "Getting it Straight" in my life has given me more freedom and independence. 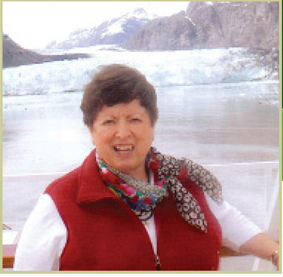 "With a complete recovery, a rose from Dr. Dysart to cheer me, and a professional hospital staff and physical therapists, I was able to go on a cruise to Alaska and a trip to China".